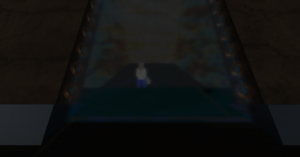 GNW manage to get the public holorecording of Fai’ra Tereschenko trial on Bespin. Senator Ehob’jani was appointed to defend Fai’ra and Senator Maiasar was appointed to be the prosecutor. Senator Sai’to was the judge at the hearing. The trial started off with Senator Sai’to’s open statement. “Let us begin. For those of you who are unfamiliar with who I am, my name is Yuichi Sai’to, Senate Representative and Senator of New Alderaan, and today it is my great honor to be present as the Presiding Judiciary for this matter. It is my duty here, today, to hear the facts and arguments, witness and character statements. With these, I am then tasked to render a fair, just, and unbiased verdict either in favor or against the accused that stands before you.” Then asked the defendant to state her name, race, and age for the recorded followed by Defense and then the prosecutor. Fai’ra Tereschenko pleaded not guilty and so the prosecutor was asked to give her opening arguments. Maiasar clears her throat and addresses the assembly, “The Prosecution will prove that the defendant knew what she was doing when she chose to join the Sarapin Empire Sith and we have her own admission that she did this published openly in the GNW quoting her exact words. Also, we have the message sent from GAR to the Madam Chair We can also bring her Father as Character witness.” Senator Sai’to asked for the evidence the prosecution has to be submitted in order for them to be considered as reviewed. A copy of the evidence was submitted to Senator Sai’to. She was then asked to continue her open argument while the evidence was being over view. 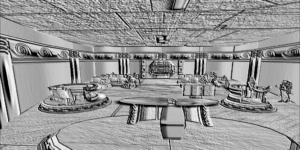 Maiasar added, ” We have a witness statement that implicates Fai’ra in engineering a war between the Federation and the Seraphim. The data we obtained from the holorecorders in her armor may show more. From what we’ve seen there’s at the very least murder on the list. Since Gar or their witness wasn’t present to give a statement nor was the holorecording they found wasn’t present it was stated inadmissible as evidence.” With less evidence, it made it harder for the prosecution to prove that Fai’ra was guilty of war crimes. The prosecution first witness was Baron Administrator Rhialto. Baron Administrator Rhialto was Fai’ra dad and he was asked by the prosecution does your daughter have a habit of getting into trouble? Rhialto stated yes, Her actions tend to land her in a bad situation. The prosecution then responded. “Would you give the court examples of types of situations?” He stated,“the prime example might be her involvement with the Seraphim Empire. In this regard, over the past few days a theory as to why all this has happened occured to me, due an event that took place shortly before Seraphim made itself known.” The prosecution continued, ” you had stated during the Federation Meeting on 2017/17/12 ABY, that she gets into almost anything, and it often ends badly and her judgment is questionable and that she often wanders off and gets into these ‘damned situations.’ can you please elaborate?” The Senator Sa’to then said, “May I remind the Prosecution and especially the Witness, that Seraphim is not on trial today. Reel in your answers, Mister Tereschenko to matters pertaining directly to the Defendant, within the scope of the questions. If you cannot do this, you will be asked to step down and your testimony will be stricken from the record. Understood?” The prosecution then explains that she was only trying to submit as evidence Fai’ra penchant for getting into trouble in the first place. the prosecutor was told to continue by Senator Sai’to. Prosecution continue by asking, “what specifically does she do that handles it poorly?” Rhialto tells the prosecution that he feels that confronting these people, associates of her former captors, was not a wise approach and that such behavior just asks for trouble. 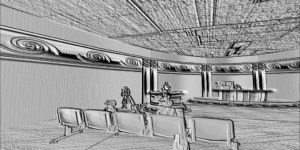 GNW will show you the holorecording of the prosecution and her first witness. She was asked to be silent until called up on or be removed from these proceeding until a verdict be render by Senator Sai’to. GNW will also play the defense holo recording of them asking questions to the prosecution first witness. Senator Sai’to turns focus on Fai’ra and asked her what was her side of all what her father stated. She said, “I am a force sensitive. I have used my abilities to toss a spice dealer off the carbonite building so she may die and pay for the crimes she has done.” Defense was asked to continue and she asked Rhialto was he detained by any hostile organization during the events being discussed in this trial? 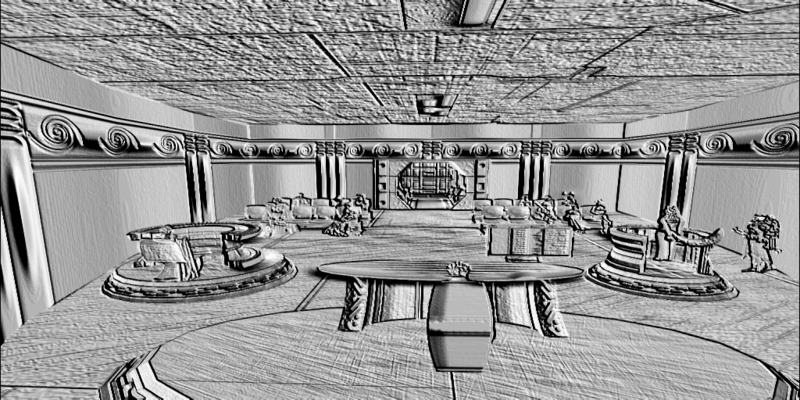 Senator Sai’to reminded the defense that the Witness nor the Sith are on trial here today. Please reel in the scope of questioning to the matters pertaining directly to the charges against the Witness. Next time I have to say that, I will do the questionings my self. Understood?” Rhialto told the defense that he was not. then Defense rested and then took her seat. GNW will also play holorecording of Senator Sai’tor questioning for the first witness. The Prosecution stated that they would like to question the defendant. GNW will also play the holorecording of prosecution questioning the defendant and the defendant answers. 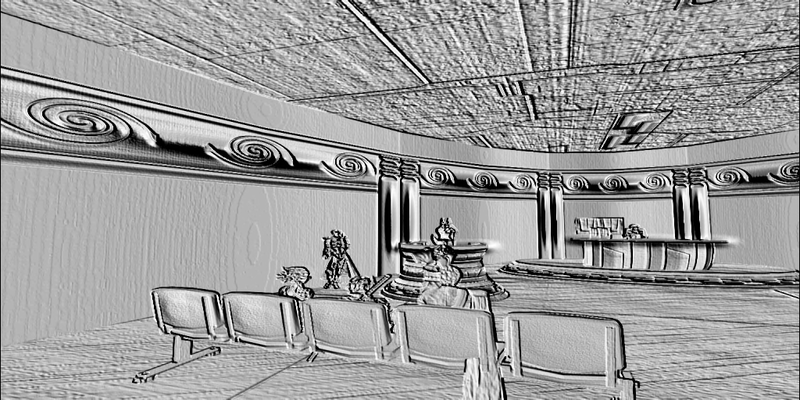 GNW will also play the holorecording of defense questioning the defendant and the defendant answers. GNW will now play the holorecording of Fai’ra verdict. Fai’ra was taken to the carbonite chamber by Yavin security force. While Master Thalia spoke out against senator Sai’to verdict stating that, “There is no doubt as to her guilt or innocence. My concern is the sentencing. I suggest something other than carbonite freezing… something far more appropriate to the the nature of this woman’s crimes… otherwise, when she is released, the hate that will seeth in her heart will only cause her to commit such crimes again. I suggest she be handed over to a group far better equipped to rehabilitate her and teach her how to control her impulses.” Madam Chair replied to Master Thalia by saying, “by law treason is death. carbonite is better than death.” Thalia answered by saying, “If we hold to that course, we are no better than the Sith. I suggest handing her over to the jedaii on Tython.” Madam Chair Tiplaria replied, “no The Sith would have had her executed.” Thalia then said, “The Jedaii are better suited to teach balance in all things which is what she needs… not the purist views of my order…” While all this was going down Fai’ra old clan wanted to take her out and wasn’t allow commander Yeldleyt to take her to the chambers. It took talks with the Madam chair Tiplaira to work things out with the Mandalorian clan. 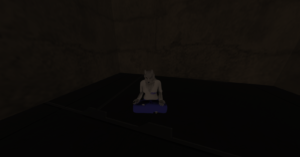 Fai’ra was placed in carbonite on 2017/ 27/12 aby against the different views of how Master Thalia wanted her punishment of her crimes to be played out. GNW will keep you updated on anything else that comes out of this trial. GNW interview a prisoner on Yavin IV. An Amaran by name of Fai’ra Tereschenko who was picked up and question by the Grand Army on Onderon. After being questioned, GAR transfer Mrs. Tereschenko to Yavin IV where she is being held right now waiting for trial. When GNW herd about Mrs. Tereschenko, we wanted to get her side of the story. When we met Tereschenko, she was in her cell meditating. After introducing myself, she told me who she was and I began to ask Mrs. Tereschenko some question. One of my questions was why was she being attained. She told me that the events surround the Sarapin empire and GFFR conflict was the reason. She told me that during that time she was a soldier for the empire because she was made to fight in the name of the empire and had some regrets for doing so. I have seen Fai’ra Tereschenko on Bespin. So asked her aren’t you a citizen of the Federation? Why would you help Sarapin? Do You Really Want To Give That Up? job description: heads Congress by overseeing all meetings, votes, and proceedings. The Vice Chairman/Vice Chairwoman will also take on the responsibilities of the Chairman/Chairwoman in the absence of the Chairman/Chairwoman, but he or she also carries forward his or her own duties. Vice Versa, in the absence of the Vice Chairman/Vice Chairwoman, the Chairman/Chairwoman will carry the duties of the Vice Chairman/Vice Chairwoman. job description: heads the Department of the Interior, whose job is to oversee and ensure the stability of all domestic issues within the Federation. Medical, Food/Water, Crime, and anything not covered. The Secretary of State will also be our chief diplomat between all Federation worlds, and to all foreign powers. job description: oversee, and aid in the processing of Federal Law. Is found to have a bias on an issue, or be found to be either indisposed or inadequate for his or her duties. job description: Membership into the Federation will be overseen by the Secretary of State or Mediator if no Secretary of State is in office.